Much to the chagrin of the good people of New England, the Pacific Northwest dominates fall. You’ve got some of the best apples in the whole dang country in Washington state. There are giant trees to sleep at the top of (or drive your car straight through, depending on your preference). And there are acres of pristine vineyards and farm lands to feast in. 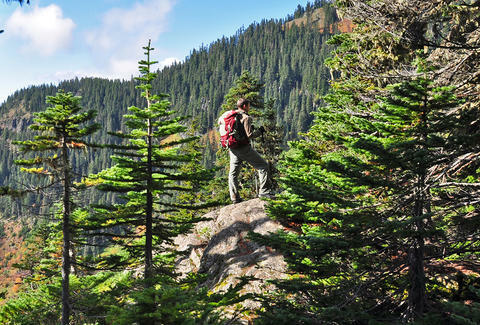 So while the rest of the country gets distracted by pretty colors and pumpkin spice lattes (which, by the way, are the brainchild of Seattle’s favorite coffee company), you can check these activities in Oregon, Washington, and Northern California off your to-do list. HJ Andrews Experimental Forest in Oregon takes fall leaf peeping to some serious new heights. 230 feet up, to be exact. In this temperate Pacific Northwest rain forest, you can camp out at the very top of an old douglas fir in a tree tent. 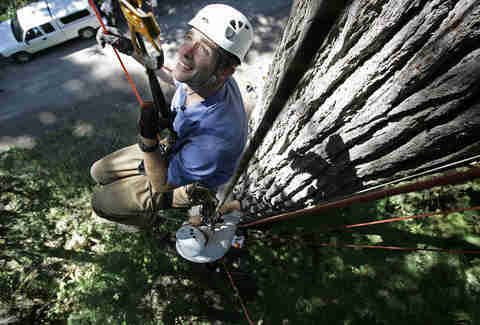 From there, you’ll have sweeping views of the treetops -- old-growth native trees like hemlock, maples, cedars, and firs -- and the nearby mountains, plus an air mattress and the occasional visit from a fine feathered friend (who is probably more chill than you’re obnoxiously loud neighbors). Grandma’s stuffing is great and all, but is it really as good as a chef-executed six course meal in the middle of an agricultural wonder? Our guess is probably not. 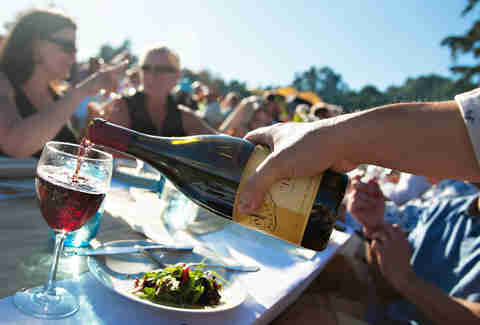 Field and Vine hosts eight “dinners in the field” throughout the fall at Willamette Valley’s famed vineyards and farms. There, an elaborate multi-course meal, sourced from the host farm, is served and paired with the region’s wines. Some upcoming venues include a wild elk farm (complete with the occasional wandering elk) and an intimate wine cellar -- and the menu changes with each dinner. Tickets to Munich are pretty pricey, especially in October. But lucky for you, you won’t have to leave Washington to get in on Oktoberfest. 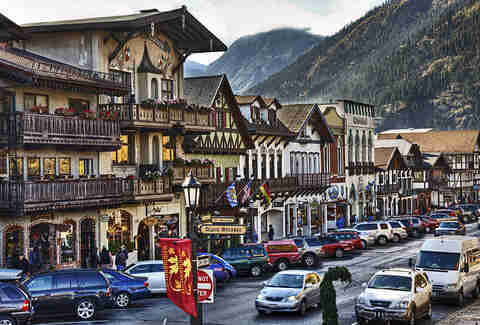 Leavenworth is a tiny town in the middle of the Pacific Northwest, completely modeled after a Bavarian Village. And its several beer gardens and German restaurants take Oktoberfest very seriously -- with beers, brats, and schnitzel. After you’ve had your fill, you can take in all the fall colors around Leavenworth with 700 miles of hiking trails -- or just peep leaves from your B&B. Apples are one of Washington’s greatest exports (second to the aforementioned pumpkin spice latte, of course). There are about 175,000 acres of apple orchards throughout Washington, churning out 125 million apples a year. 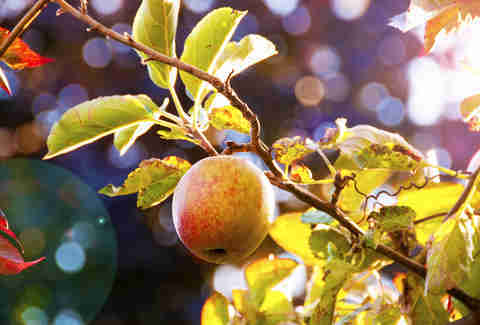 So it’s no surprise that there are a slew of pick-your-own orchards that own the harvest season throughout the state. Head to Gordon Skagit Farms for not just apples, but pumpkins, farm-made cider, a corn maze, haunted house, and other quintessential fall fun. And don’t forget your flannel, for the ultimate fall ‘Gramin. 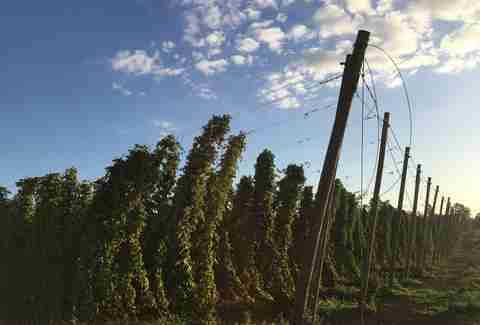 It’s harvest season in the Pacific Northwest, and that includes hop harvest! If you’ve ever wondered where your favorite brews begin, you’re in luck. Deschutes Brewery in Bend, OR is celebrating the launch of their second version of Armory XPA, that’s eXperimental Pale Ale featuring hop #07270, by offering up a chance to win a trip for two to the experimental hop farm. Just show them why you should win by posting a photo to deschutesbrewery.com/xpa. There are nearly 175 islands within San Juan county, but you only have to remember the names of four of them: San Juan, Orcas, Lopez, and Shaw Island. Located off the coast of Washington, the San Juan Islands are prime for whale watching, particularly Orcas Island (because, obviously). These islands stretch all the way to parts of Canada, right along the migration path of some very large sea-friends, and fall is one of the prime times to check out orcas and other marine life as they head south. 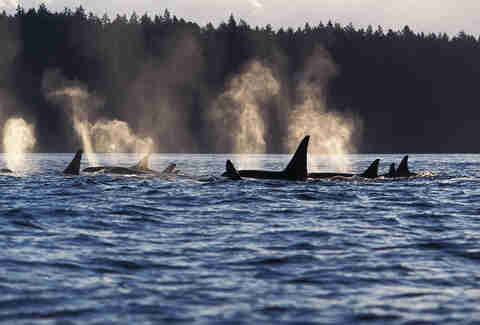 Hit up one of the many different whale watching tours to catch these mammals on the move. Ignore that advice from TLC and seek out Snoqualmie Falls, the tallest waterfall in Washington. 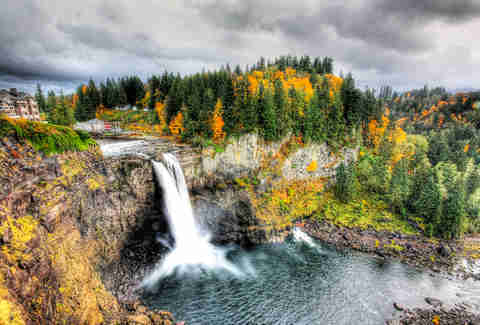 Besides being fun to say, Snoqualmie is one of the most visited parts of Washington, just outside of Seattle. In the fall, the trees surrounding the falls turn classic reds, oranges, and yellows. Besides being able to hike and picnic there, you can also head to the general store for their famous waffles and pancakes, or the Snoqualmie Candy Factory for house-made fudge and caramel corn. One of the scariest haunted houses in the entire country is in Portland, and takes up an entire city block in the basement of the Veteran’s Memorial Coliseum. Frighttown packs three different themed haunted houses in October, each with monsters scary enough to make you really second-guess this idea. This year, the themes include a haunted manor overrun with ghosts and vampires; a warehouse with witches maiming locals; and a morbid museum with Werechickens and mutant sea monkeys. 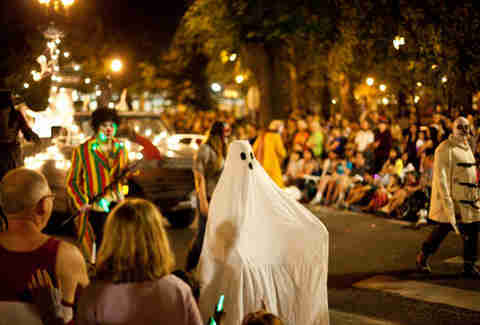 And because it’s Portland, we’re going to assume the Werechickens are free range and grass fed. You’re doing fall all sorts of wrong if you don’t spend time ogling at trees. The best place to do that in the Pacific Northwest? The majestic Redwood Forests of Northern California. 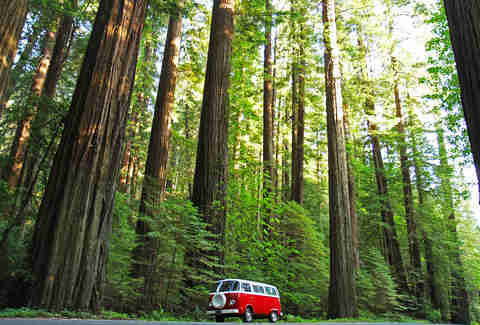 The avenue of giants is a 31-mile stretch of majestic redwoods, along which there are 51,000 acres of redwood groves. To put that into perspective, that’s about 4x bigger than NYC (even including Staten Island). Some of these trees are so massive, you literally have to drive through them -- which will make you feel like you’re a character in an old Rick Moranis movie. 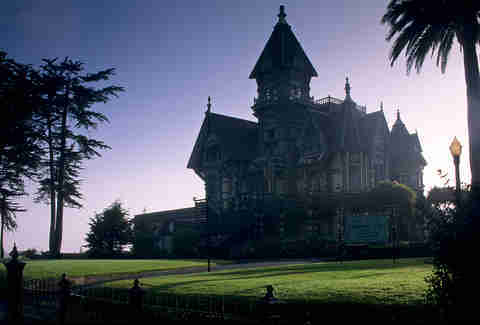 Eureka is in the center of California’s Redwood Empire, and is the largest city between SF and Portland. It’s biggest draw, however, is its downtown, known as “Old Town” for its concentration of old Victorian mansions and 19th century storefronts. It’s full of cafes, galleries, and restaurants that you can ride past in a legit horse-drawn carriage. Or you can check out a haunted history tour, where they’ll tell you all about what lies beneath 2nd Street (spoiler alert, it’s probably ghosts). 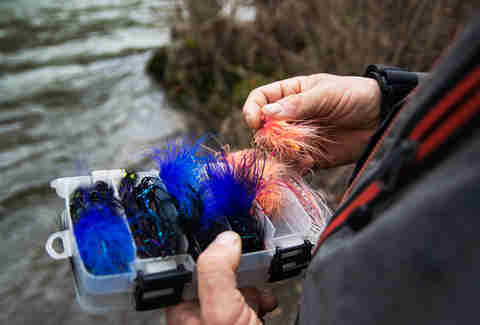 The Elks and Sixes Rivers, which run through Oregon and the Redwood Forest, are known for salmon fishing -- and fall is prime time to catch the biggest fish possible. Not only are the salmon at their absolute biggest at this time of year (they get up to 60 pounds), they’re also returning to their home streams to spawn -- sort of like the fish version of going to your high school homecoming game. In Oregon, the Jubilee Annual Salmon Derby is held all throughout November, challenging all potential fishermen (and fisherladies) to take home the biggest salmon they can. The top three catches take home prizes like fat stacks of cash and, more importantly, neighborhood bragging rights for the rest of the year. The actual Oregon Trail was a miserable 2,170-mile trek where lots of weary travelers were plagued with dysentery or lost their wagons fording a river (as you learned from the classic Oregon Trail video game, of course). The Oregon Cheese Trail, though, identifies all the dairy farms you can stop at to taste handcrafted cheeses throughout the fall. 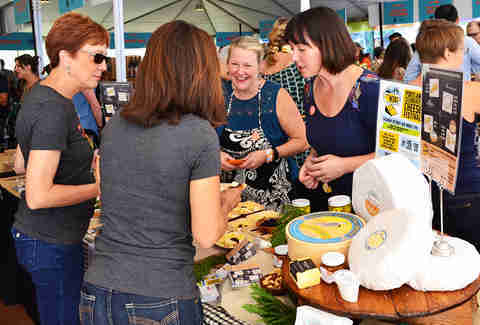 Besides being tasty, the organization offers to educate people on Oregon cheesemaking, with the oldest working dairy farm going back to 1899. It’s sweater season, so go ahead and try every wedge you can.